We’d love your help. Let us know what’s wrong with this preview of The Diaries of Sylvia Townsend Warner by Sylvia Townsend Warner. 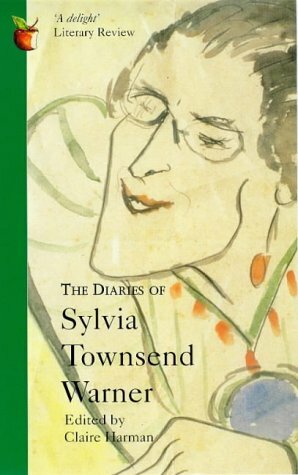 To ask other readers questions about The Diaries of Sylvia Townsend Warner, please sign up. The Diaries of Sylvia Townsend Warner, edited by Claire Harman, has been pared down from 38 distinctive diaries found after Townsend Warner's death. I adore what I have read of Townsend Warner's prose to date (Lolly Willowes is a firm favourite of mine), and hoped that I would feel just the same when reading about her own life. The original diaries span a fifty-year period, beginning in 1927, and stretching to 1972; throughout, Townsend Warner unsurprisingly writes about an England which is dated and archaic, but still ultimately recognisable. Her writing is sometimes quite matter-of-fact, but at others it is beautifully poetic. It begins to almost sparkle when her enduring relationship with Valentine Ackland is at first revealed; it feels almost as though a new Townsend Warner has been revealed. She talks less about her writing than I had anticipated; she mentions her work largely in passing, and not all that often. A cultured and wizened voice. I'm a recent enthusiastic convert to STW's short stories, those marvelous excursions. So, since I am a fan of correspondence and journals in general, I turned toward this one. Every page has more than a few of those remarkable turns-of-phrase, but my overall impression was less of the insight and passion of a life as it was lived, than of a simple list of occurrences, a sort of practical appointment calendar. I deliberately sought out a turning-point year in her life-- and found no particular se I'm a recent enthusiastic convert to STW's short stories, those marvelous excursions. So, since I am a fan of correspondence and journals in general, I turned toward this one. Funny, beautiful, moving. A must for any fan.